As a hardwood floor contractor, you may find that some homeowners balk at the prices of hardwood floors and are tempted instead to turn to vinyl flooring which closely resembles wood floors. However, homeowners must be properly educated on the pitfalls and disadvantages of vinyl flooring. As the methods to recreate the look of wood floors in vinyl become more advanced, more homeowners will be tempted to opt for vinyl instead of actual hardwood floors. The look of vinyl is essentially created by producing a photographic image layer between the backing and the clear wear layer. 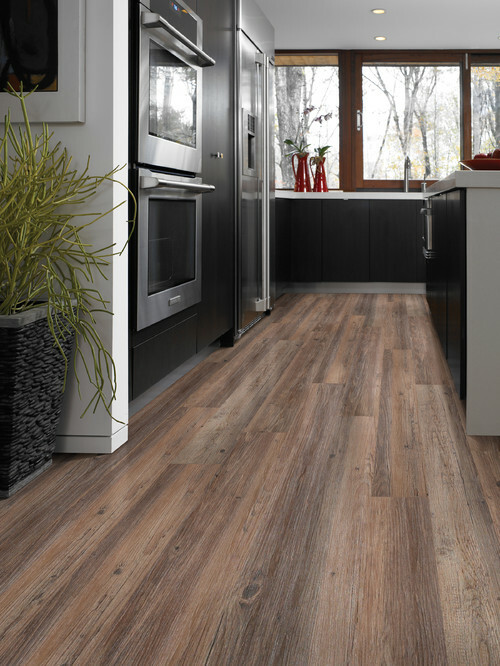 Luxury vinyl flooring can look convincingly similar to real hardwood floors, but the fact is that they are worlds apart. Though vinyl planks may be appealing due to their low price point, especially compared to hardwood floors, they may wreak havoc on a homeowner’s wallet and potentially their health down the road. Yes, vinyl floors are remarkably inexpensive and look like they’re made of real wood, but choosing them can actually cost a homeowner much more in the long run. Faced with this long list of disadvantages, any homeowner who’s thinking about the big picture would most likely turn down vinyl flooring. But what should they install instead? What’s a homeowner to do? Faced with the low price point of vinyl flooring and knowledge of its pitfalls, it may be hard for them to decide on an alternative to vinyl floors. However, as a hardwood floor contractor, you have a no-brainer option to offer them. If the homeowner is looking for an inexpensive flooring that requires little maintenance, easy to install, and durable, a quality alternative is prefinished engineered hardwood flooring. Depending on labor costs, prefinished hardwood flooring can be more expensive than solid hardwood flooring per square foot, but it offers many of the same benefits of vinyl flooring that homeowners are looking for, including stability and durability. Prefinished, engineered hardwood flooring features a 1 mm to 4 mm thick wear layer of wood on top of a thick inner core made of plywood, birch, or pine, which contributes to the stability of the planks. It’s clear that when compared to vinyl flooring, prefinished engineered hardwood floors offer more advantages and are better suited to those who are big-picture thinkers. With a bit of education and some guidance, you can steer homeowners from vinyl flooring to a much better choice! For more information, call us at 1-800-737-1786 or email info@cityfloorsupply.com. Hello. I will preface this by saying I am not very familiar with vinyl flooring. Not sure if this product is a sheet good or tile. Typically a bubble would occur with adhesion loss. I would suggest contacting the manufacturer of the product for help. Like everything, vinyl flooring also has its pros and cons. There are some disadvantages to using it in your home. Really nice article on explaining the details of it. Really informative. Keep up the nice work.